We have recently been awarded ‘The best mixed practice in Scotland’ and ‘The best independent practice in North East Scotland’ award by Global Health & Pharma! Highly rated by our clients – Click to read our reviews! We are an independent practice that is locally owned by our directors and has been for over 100 years. Our own on site 24 hours hospitalisation facilities in our Inverurie practice – your pet can remain in our care out of hours; there is no need to transport them to another out of hours provider for over night care! 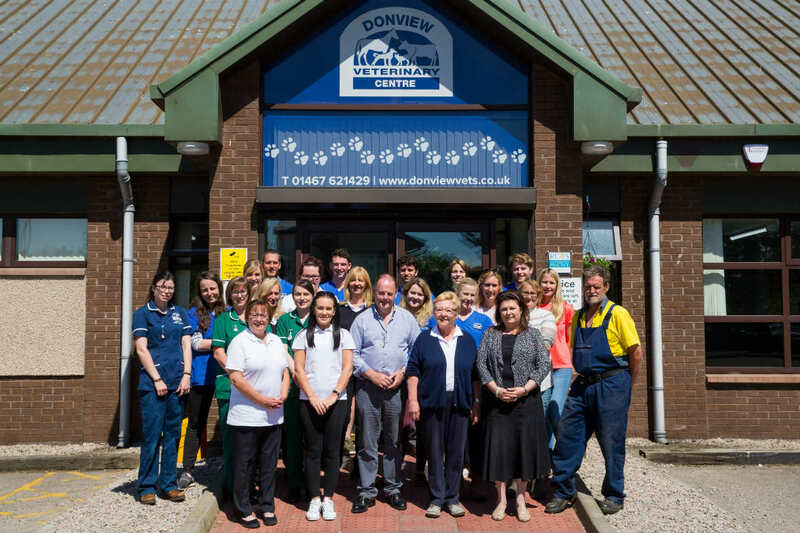 Always there – Our 24 hour emergency service is run by our own vets from our Inverurie practice – We believe that the best care is given by vets who know you and your pets so we continue to run our own out of hours veterinary service. This means that you will be seen by a Donview vet who will be able to access your pet’s medical records and give personal care. Nearly 10,000 owners trust us to provide personal, complete and continuous care for their pets. We believe in doing the job efficiently; we never cut corners and will always take the correct course of action based on the needs of our patients. Cats – we understand that cats are not small dogs; they have specialist medical needs and get stressed when they come to the vets; our head nurse is a feline medicine specialist, we have a cat only waiting area, a cat only ward and vets with interests in feline medicine. Complimentary telephone advice for all pets! We give our vets clinical freedom to use what ever treatment they feel is in the best interests of your pet; we do not restrict any medical treatments available to them, ensuring the best is always available for your pet. 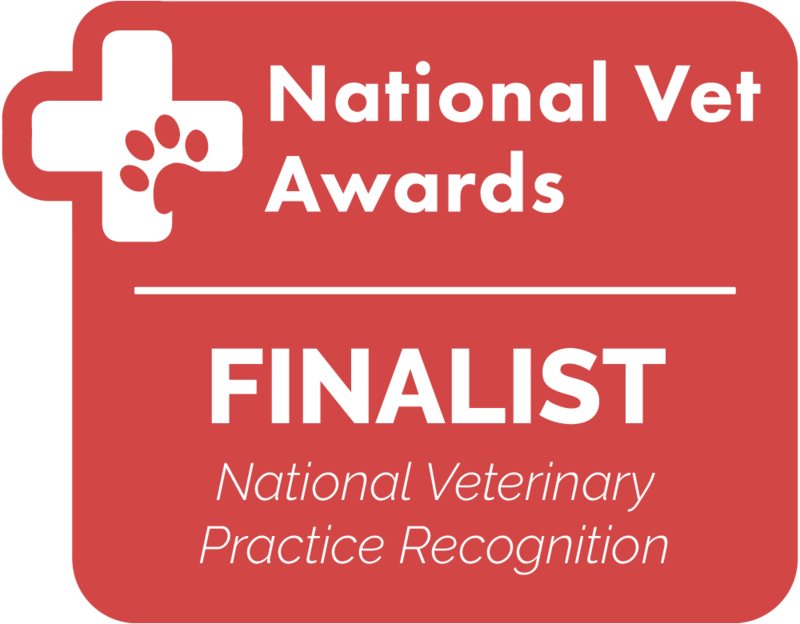 Gold standard client and patient care from our team of 11 full time veterinary surgeons, 4 part time veterinary surgeons and 3 visiting specialists. We’re always reviewing our performance and thinking of new ways that we can improve our practice – and don’t feel satisfied unless we know we are giving everything to our patients. We have a highly qualified & committed team of nurses so your pets get the care and attention they deserve. Always there – with our own on site, 24/7 emergency care team based in Inverurie. Donview Veterinary Centre has two clinics. Our main surgery is situated in a large, purpose built, modern premises in Blackhall Industrial Estate, Inverurie (adjacent to Morrisons). Our branch surgery is located in Kintore, on the main street along from the school. Only consultations are available at Kintore. If your pet needs an operation or hospitalisation they will be admitted to our main Inverurie surgery which is fully equipped with state of the art medical facilities, a modern surgical operating theatre and a team of highly qualified nursing staff to look after your pet. Our vision, promises, guarantee and history. Our Vision: To offer the most complete care available to animals and our clients every time. Treating your animals as we would our own. Treating every pet owner, horse owner or farmer as an individual. Investing in our facilities, services and staff on an ongoing basis. Ensuring our staff are friendly and helpful at all times. Regularly reviewing our service and our care standards. Ensuring we offer affordable veterinary care to all our clients. We are an independent practice owned and run locally by our directors. Allow our Vets the freedom to use the best treatments available to them. Supply our own emergency service in Inverurie, meaning your pets are treated by our vets who have access to your pet’s records, that we can supply affordable emergency care and that you don’t have to make a trip into Aberdeen when your pet needs to be seen the most. Our Guarantee: We guarantee to give you an appointment on the same day you call if your pet’s condition is critical. Our History: The practice was started in the early 1900s by Mr Niven MRCVS who lived and practised from 13 Jackson Street, Inverurie. On Mr Niven’s death the house was sold and Mr Ironside moved the surgery to premises in a building behind the Victoria Hotel now the British Legion Club. The practice then moved premises to Nos 29/31 North Street. In 2001 the practice moved to its present location in our purpose built premises in Blackhall Industrial Estate. The Kintore branch was opened in September 2005.